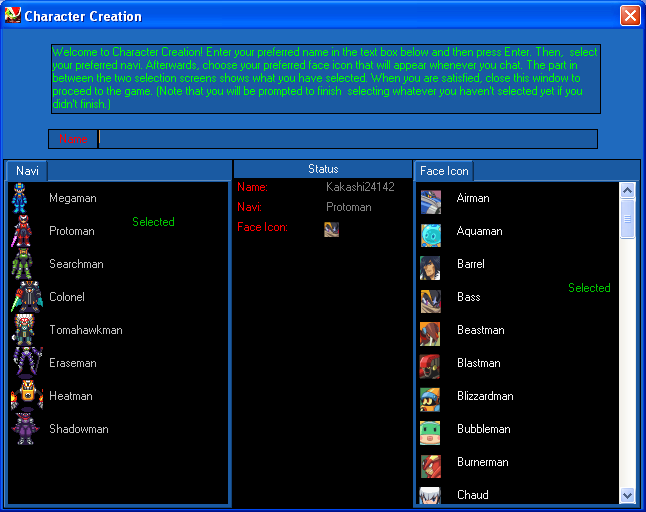 Installed Navis: Megaman, Protoman, Searchman, Forte (Admin and Boss use only), Tomahawkman, Heatman, Eraseman, Colonel, Shadowman. 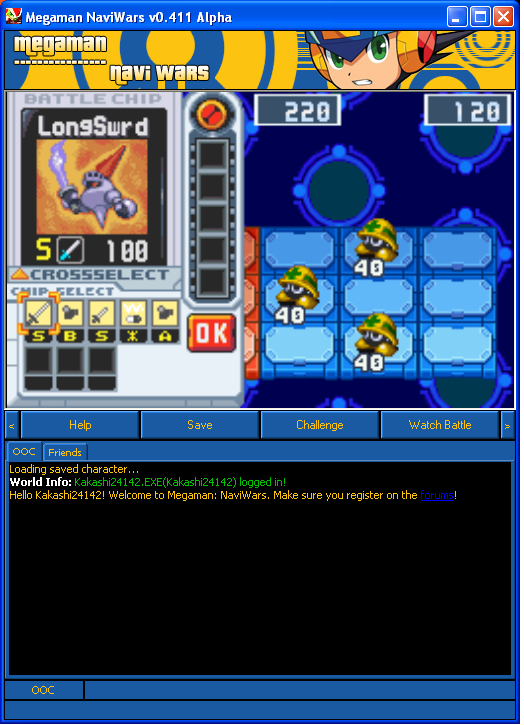 Jack into an adventure in the universe of the Megaman Battle Network (Rockman EXE) Series! 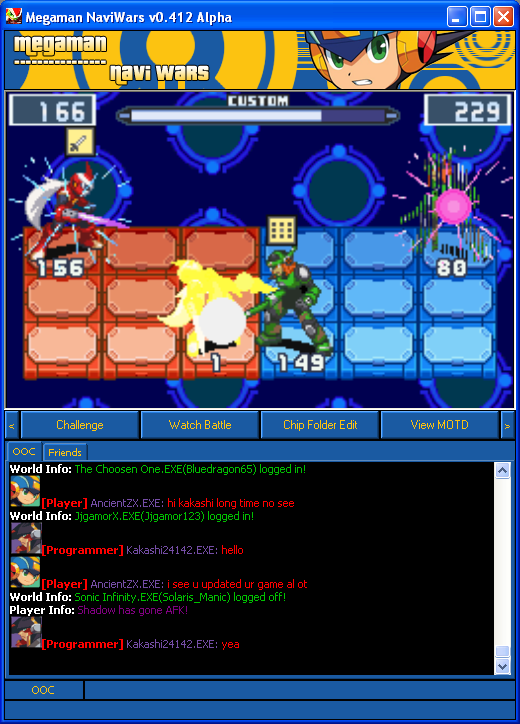 This game features the beloved Battle Network Series's Battle System with 6x3 panel battle arenas. 1 and only 1 to date: DO NOT SPEAK IN ONLINE TALK! This will become an RP, as such, since no-one wants to put up with Lulz Q4E and da lik, dun du et. Do you want to put up with that? ***This is only the alpha testing version of the game. StarWarriorMark (Member of The UnderSquare) - Navi Damage Info. Hello, I host this game 24/7. *If somone would like to adversite my hosting - feel free to do it. ** Owner of this game/program, you have done a good job. I'll be hosting this game semi-consistently, and if a lot of people start to play ill keep hosting! I really want to play more of this game with you guys! I'm still looking to play this game. Extra status bonuses are given to BYOND members and only BYOND members get certain navis and chips.